March has gone by and now it's time for April's more manageable loot. After several delays by Alter I finally got my hands on Stand By Ready Nanoha. I actually did not expect her to be this big. 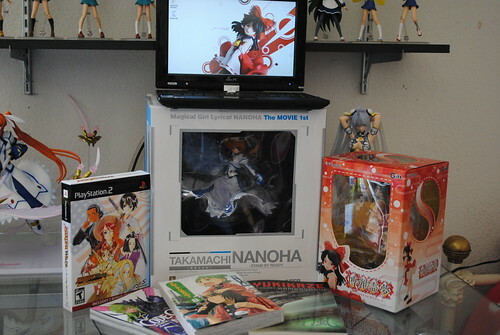 I can see why the shipping was going to be about 4400yen, thank god for Ami Ami's 50% of shipping. 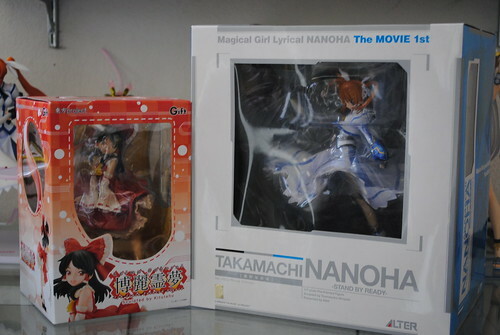 Although Nanoha was released late last month, I barely got her since I combined her order with Gift's Reimu which was released earlier this month. If you ever noticed my avatar icons in various places are of Reimu, I really like her. I will do a photo shoot for her once I get myself a new tripod. Next up are a couple of mangas and a novel. If you don't read Yotsuba&! shame on you, you really are missing out on one of the most charming slice of life mangas. Code Geass Nightmare of Nunnally is an alternate interpretation of the events of Code Geass bearing some thematic and visual design differences from Nunnaly's point of view. If you liked Code Geass I suggest picking this manga series up. 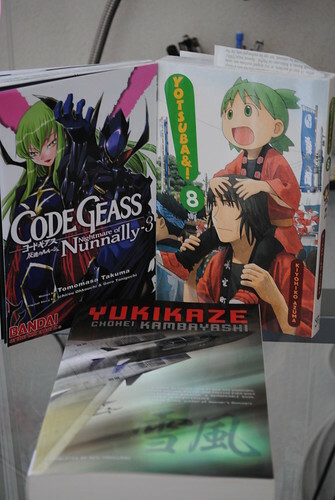 Last of these three is the novel Yukikaze by Chohei Kambayashi, this novel deals with the use of fighter aircraft that make use of advanced AI to fight an alien enemy. There was an OVA series based on this novel with the same name. 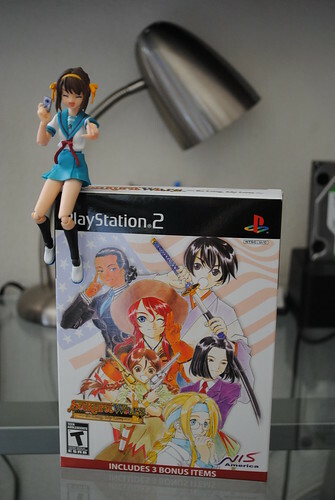 Here we have the first western release of the long running Sakura Wars franchise. For those unfamiliar this is a series of strategy RPGs started all the way back with the Sega Saturn. The games deal primarily with a crew of girls fighting off their enemies using steam-powered robots. Although the original game spawned several sequels none were ever released outside Japan. I opted for the PS2 version over the Wii one simply because this includes a second disc featuring the Japanese dub of the game. 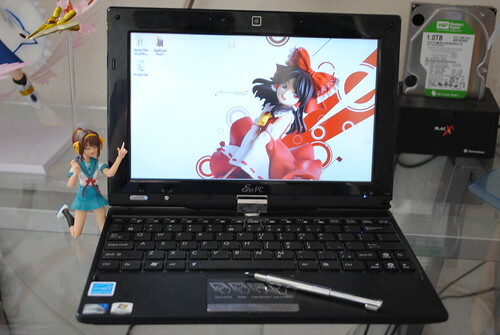 The last part of my loot is my long-awaited Asus Eee PC 101MT. I been waiting for this tablet to be released for more than a year ever since I saw it announced. What makes this netbook special over the rest in the market is the inclusion of a multi-touch touch screen. Two things to mention, as with all netbooks upgrading the RAM to 2GB is a must. The other is that, if you use this out of the box is for all intents and purposes it is a piece of trash. The reason being the inclusion of Windows 7 Starter and the high amount of bloatware. Do a clean install of at least Windows Home Premium, not only will you get rid of the bloatware but also be able to use the multi-touch features not supported by the Starter version. Once you do a clean Windows 7 install and install the appropriate drivers and utilities from the support DVD I find this to be the best netbook to buy on the market right now. There you have it later this month hopefully I will get the rest of my pre-ordered figures to complete my April loot for this year.